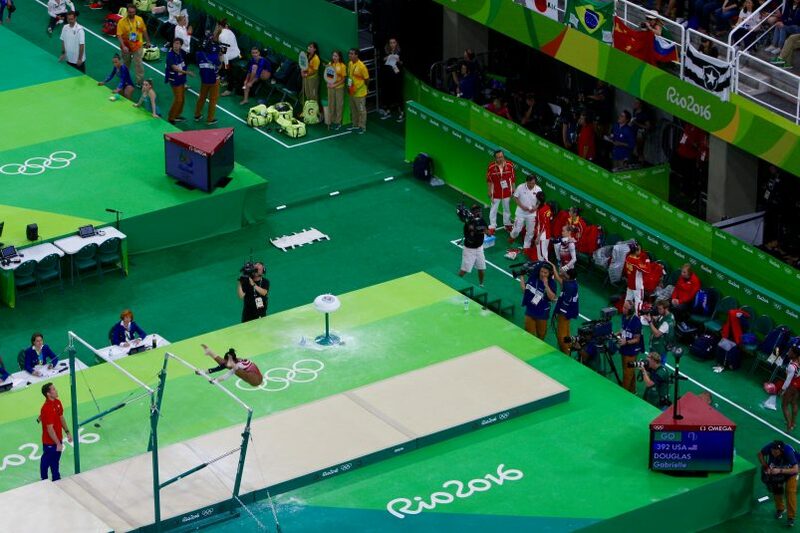 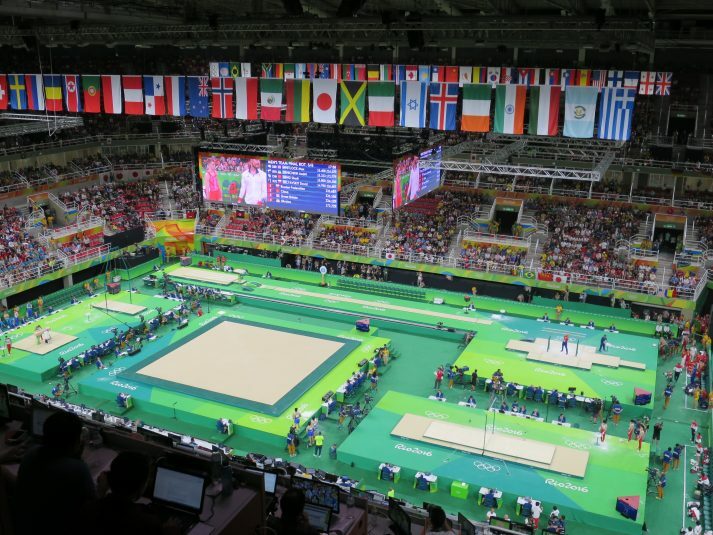 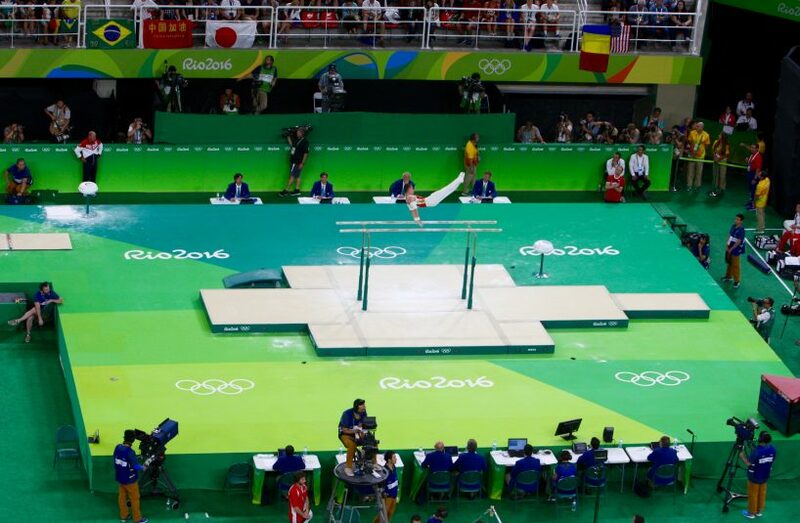 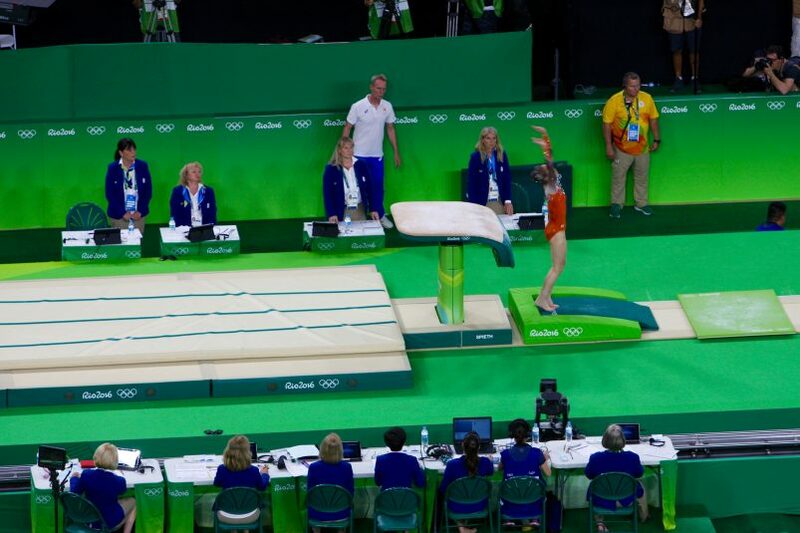 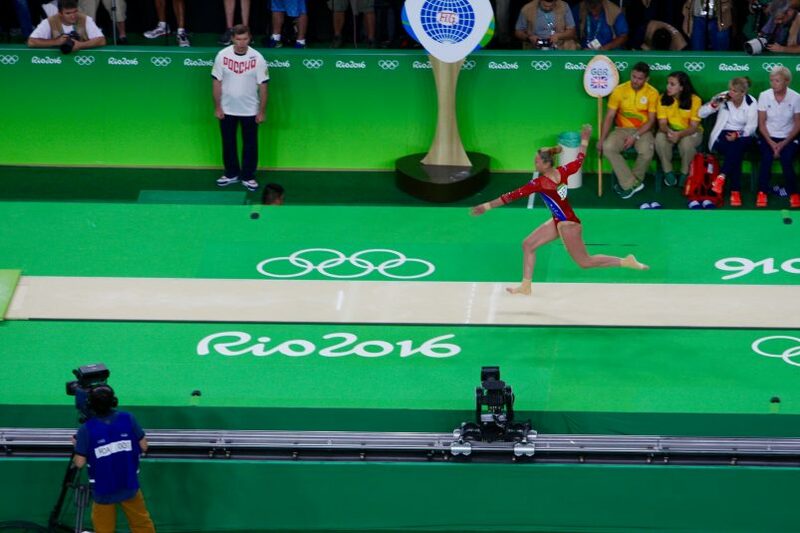 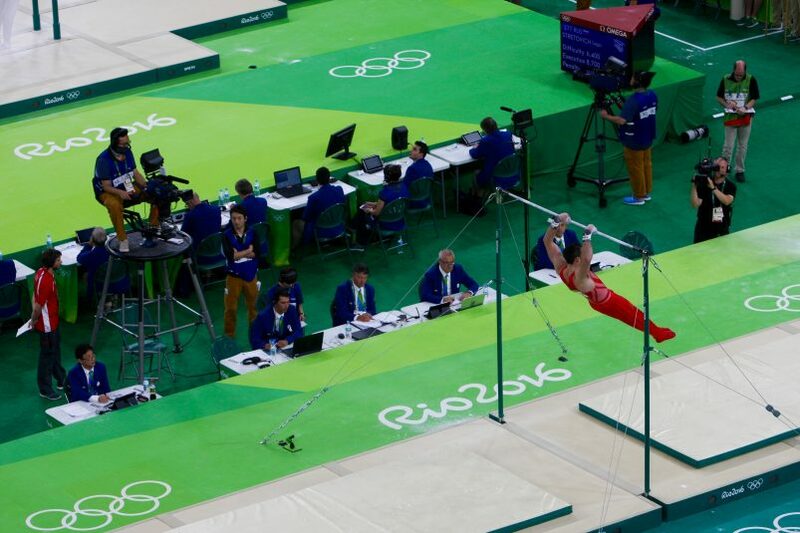 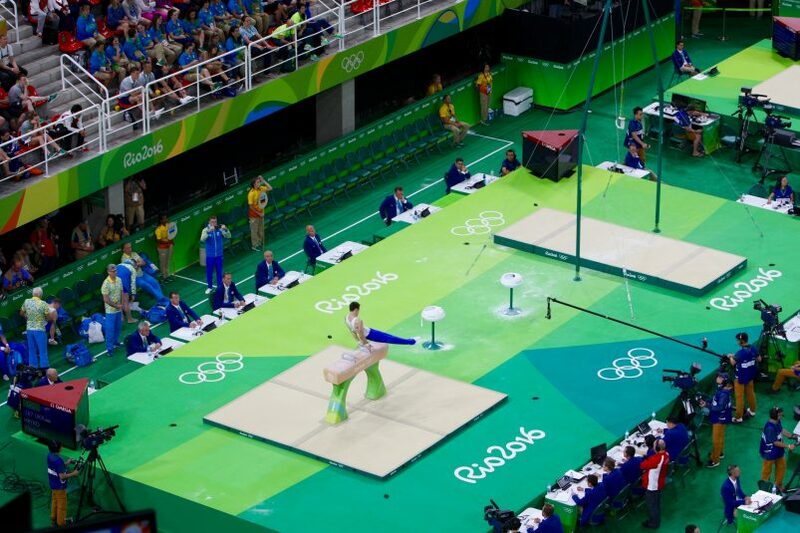 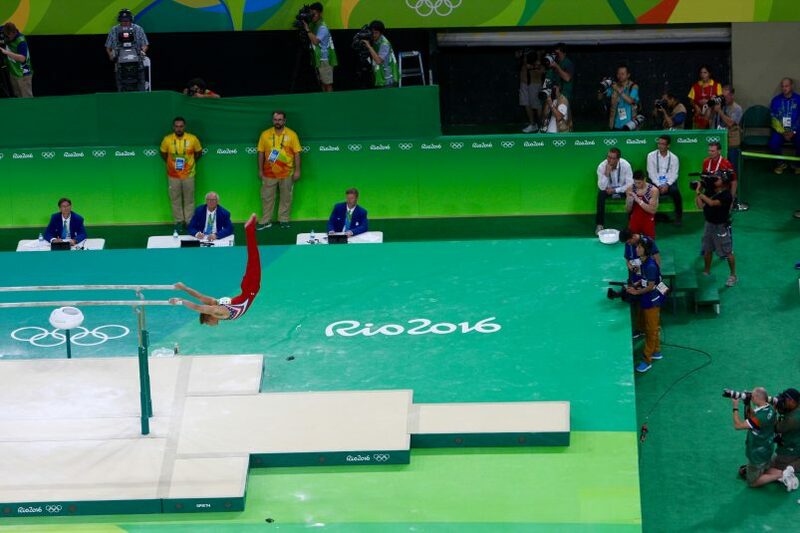 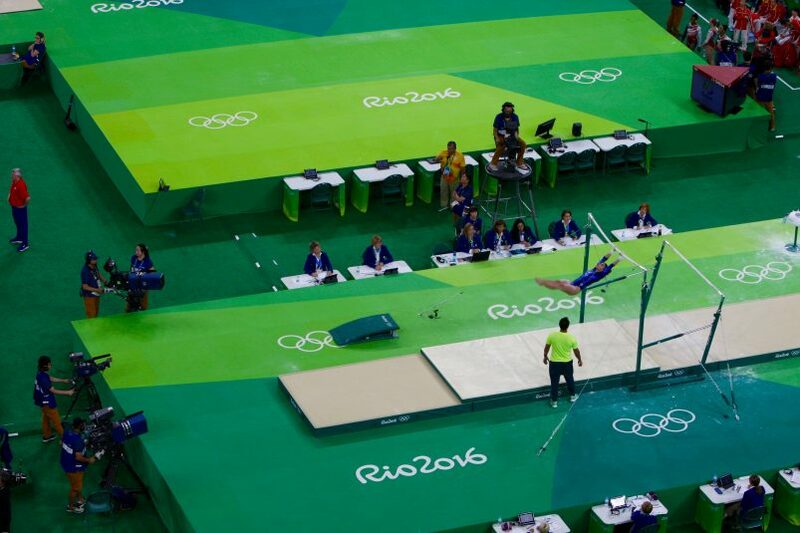 Rio Olympic Arena is the site of one of the most anticipated events at the 2016 Summer Olympics: men’s and women’s gymnastics. 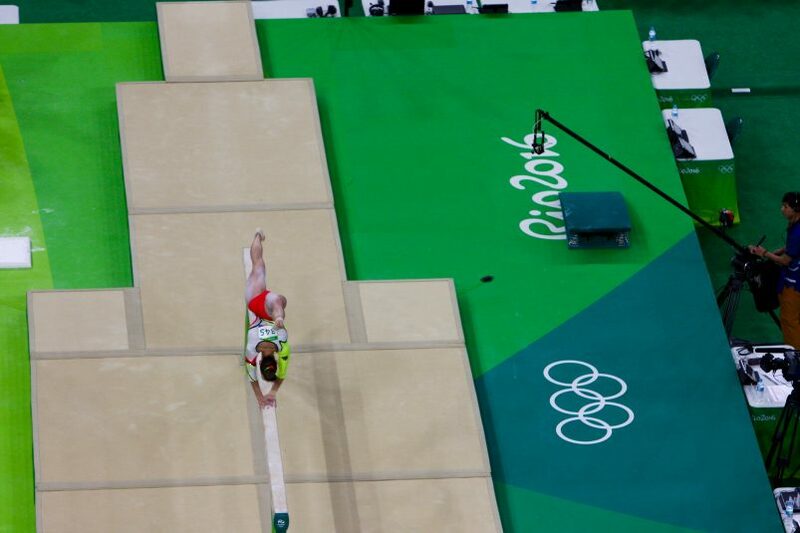 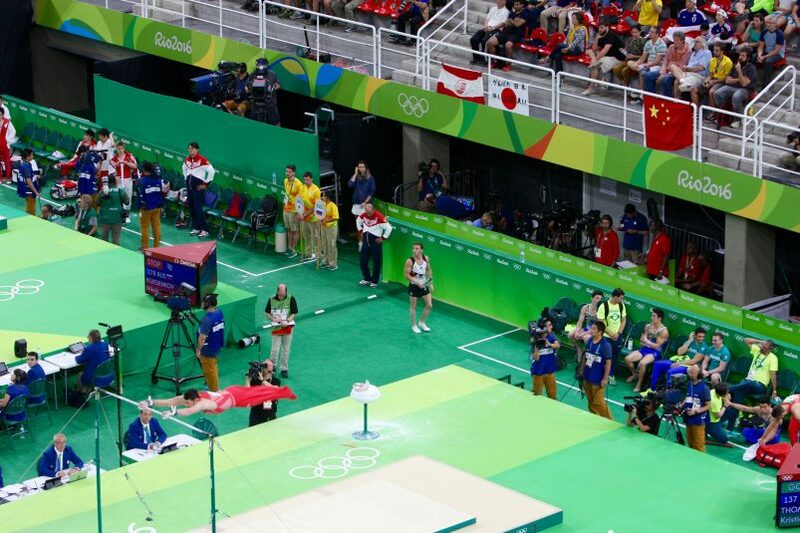 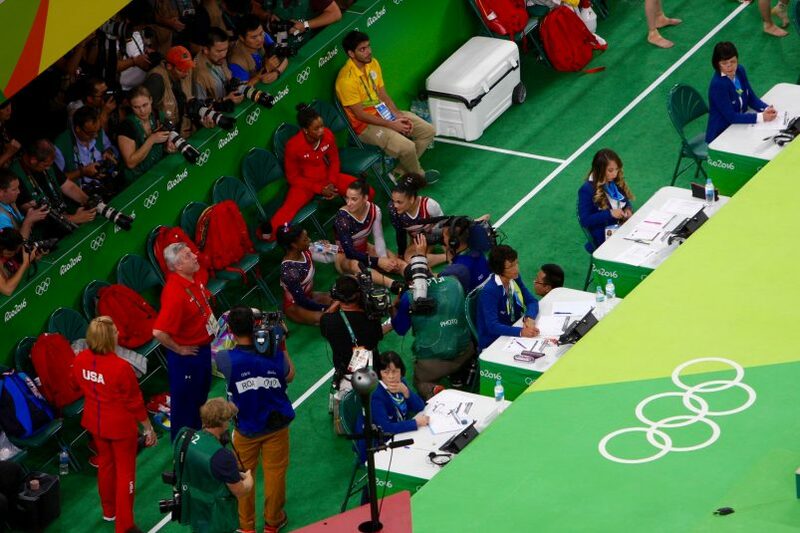 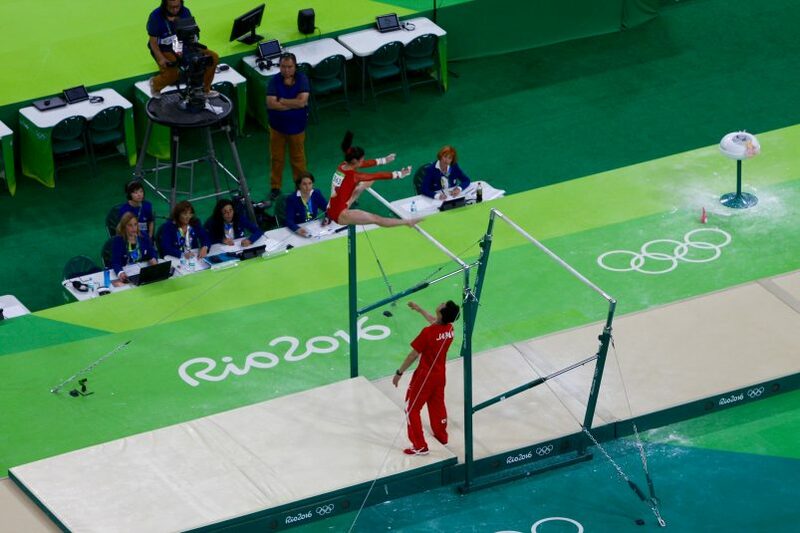 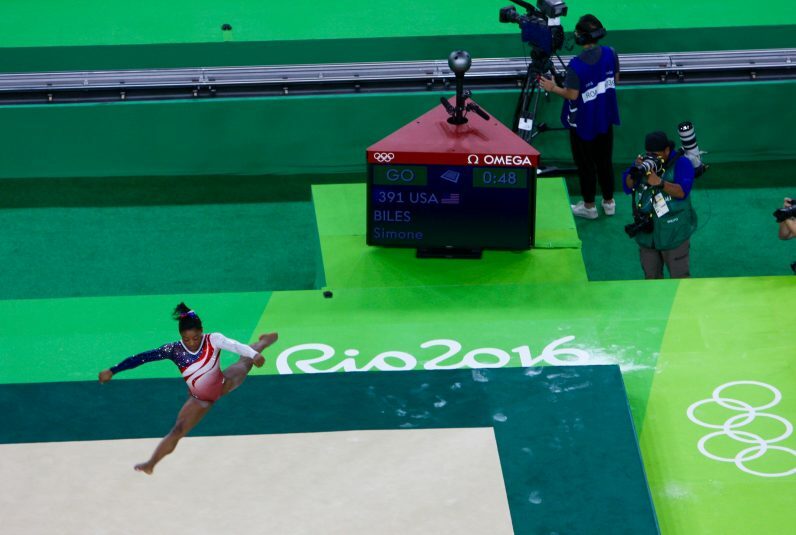 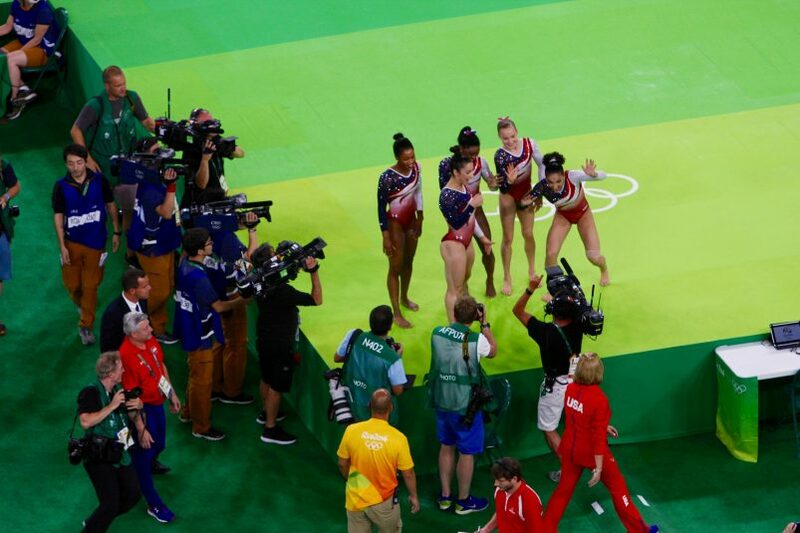 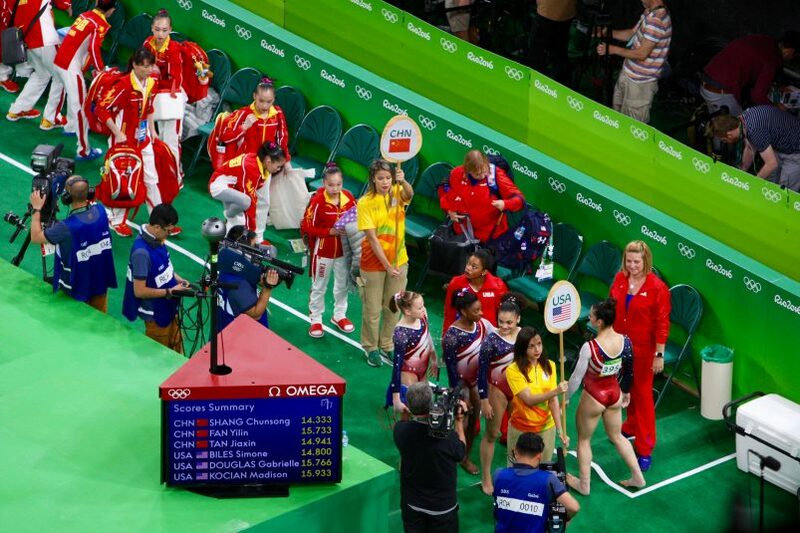 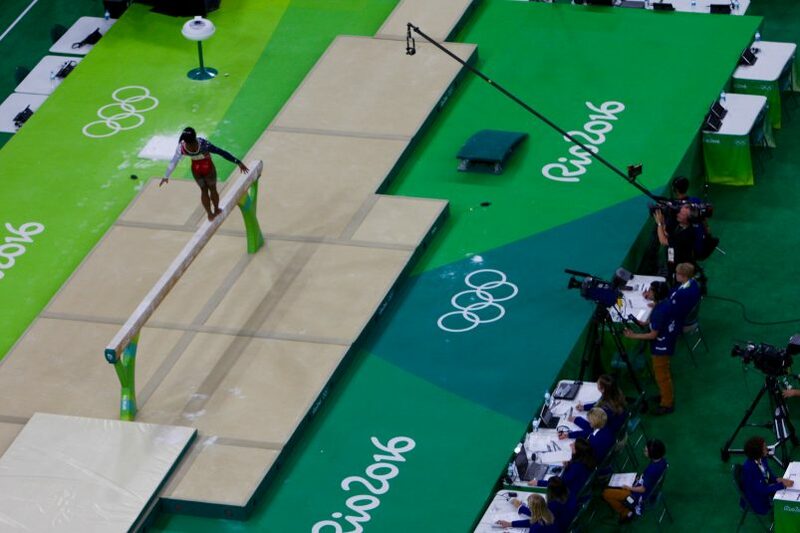 The competition is a top draw for TV audiences, packs the house with fans, and is one of the hottest tickets in any Olympic games. 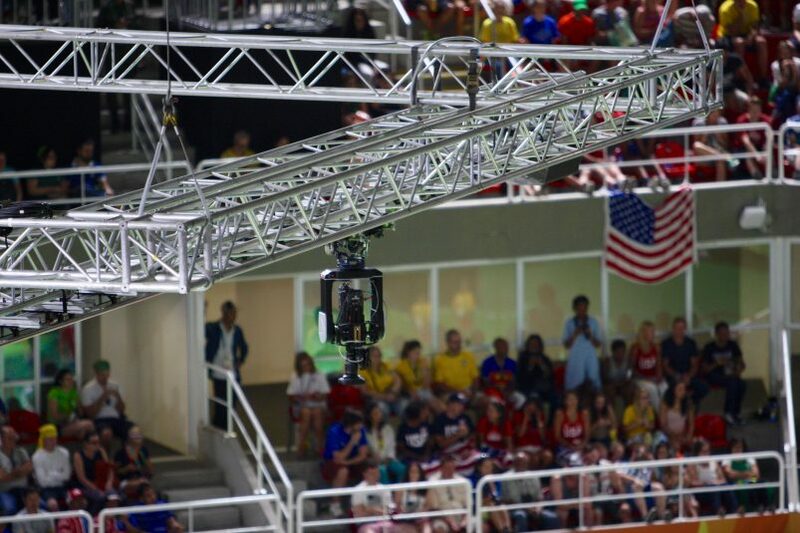 It’s also one of the more interesting TV productions as there are four events occurring at any one time so camera crews need to be aware of each other and can often be working within feet of each other but focused on completely different events.